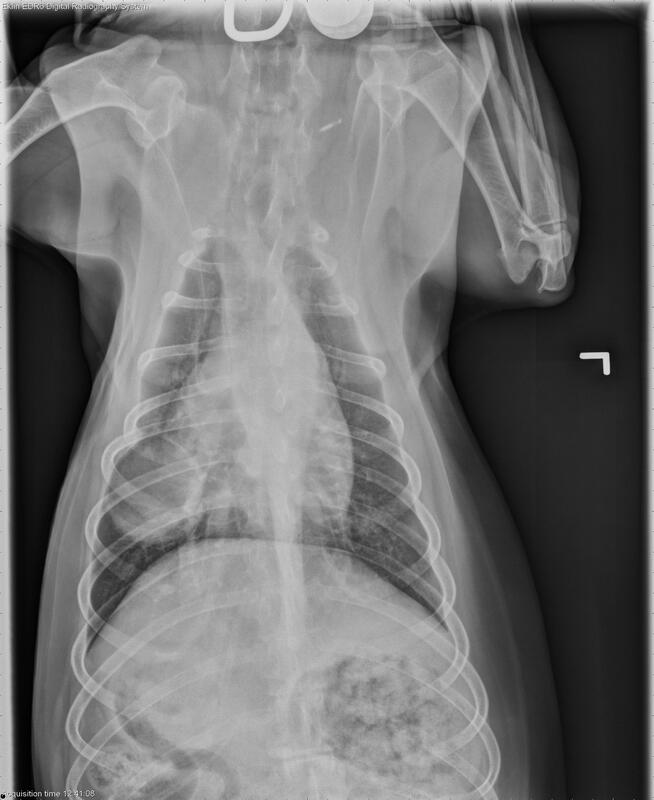 This week’s case is a 12-year-old male neutered Border Collie with previous right middle lung lobectomy for primary pulmonary tumor. Recheck radiographs. 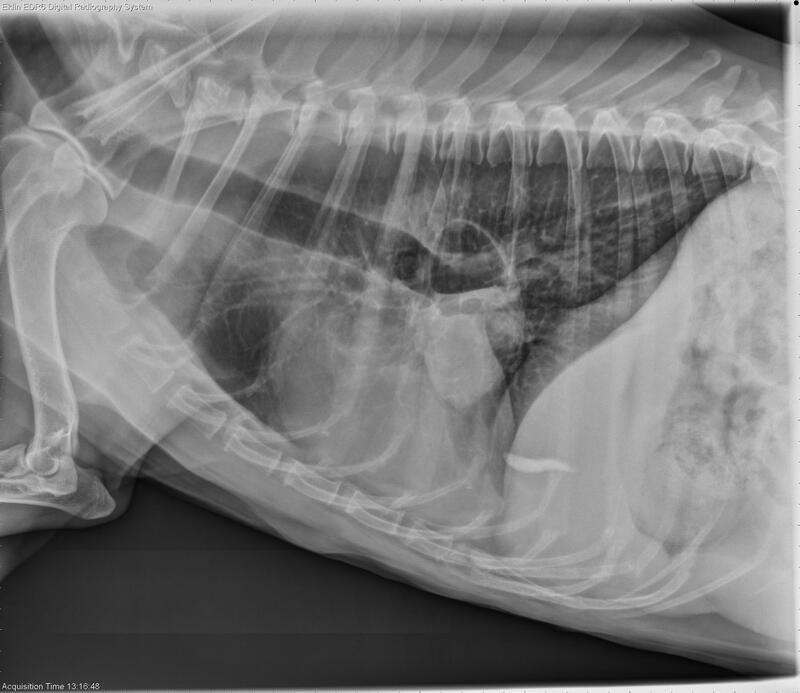 This is a great case involving positional radiographs. How do they help you with your confidence? On the throacic projections, there is an oval soft tissue opacity in the region of the right middle lung lobe. The structure is not very opaque for its size and appears to contain gas. The remainder of the lung lobes appear normal. No abnormalities are seen in the cardiovascular system. The pleura and mediastinal space are also normal. There is a small amount of radiopaque sediment contained within the gallbladder which is mobile between projections. 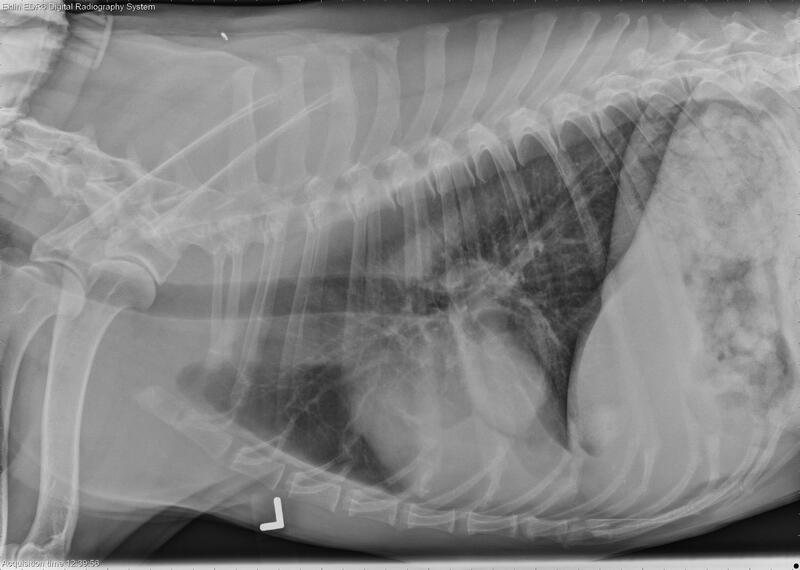 A horizontal beam view was performed with the dog and sternal recumbency and the beam parallel to the table. 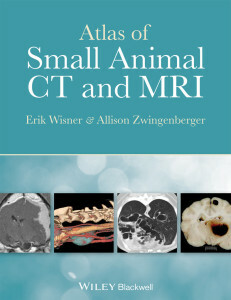 On this view, there is a clear gas-soft tissue interface in the pulmonary mass, as well as a mineral-soft tissue interface in the gallbladder. Pulmonary cyst or abscess, likely at site of previous surgery. 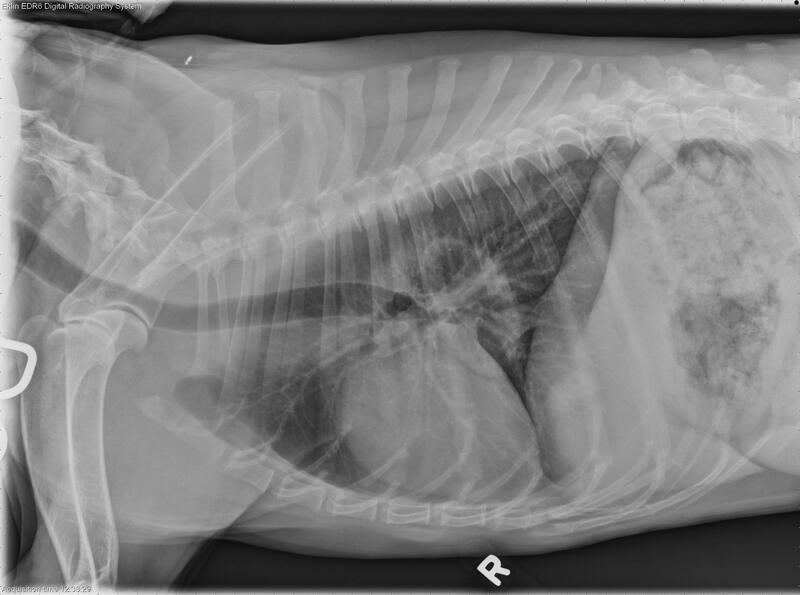 The site was aspirated with ultrasound guidance and was diagnosed as hemorrhagic, cystic fluid with mild mixed inflammation on cytology. Question : It is often to see the radiopaque sediment in horizontal beam view each time is it done in any dog? . .(I think no). . . if the answer is No . .Which will be the reason to see it with good radiopacity in one view and not in others?